While thru-hiking the Appalachian Trail, I met so many amazing people from all over the world and experienced so much compassion from strangers along the way. While every person I came in contact with shaped my hike, there were a few who stood out. One of them is a woman known to most as Niki Rellon, but I knew her as The Bionic Woman. The Bionic Woman started her thru-hike the day after I did, March 9, 2015. After losing her left leg in a canyoneering accident in 2011 (she fell while on rappel, breaking her pelvis and spine and shattering her left foot severely enough that it needed to be amputated), she took on the same 2,189.2-mile trek I did with a prosthetic one. Like everyone who sets out on the Appalachian Trail, she was met with many setbacks. She continued to hike through infections, wearing out prosthetics and even losing so much weight that her prosthetics no longer fit. Even though she had started not far behind me, we never met until I was nearing the end of my thru-hike. It was a rainy day in Maine, and I could hear thunderstorms rolling in. I had just passed the 2,000-mile marker and was less than 200 miles from being on top of the mountain I had spent months hiking towards. It was July 21, 2015, and I was at the Horns Pond Lean-Tos, which are nestled underneath Bigelow Mountain. There were two small eight-person lean-tos that were a great place to hide away from the impending storm. I made it with some time to spare and set up my spot in the shelter with some friends who had beat me there. We got dry, warm, and ate as the thunderstorm got closer and eventually passed overhead. We were happy to have been under a shelter and not caught out in the storm. All too often during our journey, we had not been so lucky. Shortly after the storm passed, a woman hiking south on the trail showed up looking for space in one of the two lean-tos. The woman was wet. 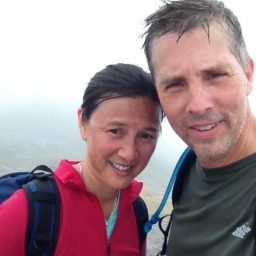 She had been caught in the short burst of rain while hiking down from one of Maine’s 4,000-foot peaks in the Bigelows. We exchanged names, and I found she called herself the “Bionic Woman.” When I was curious about how she got the name, she moved her poncho to show her prosthetic leg and said she was hoping to be the first female amputee to thru-hike the Appalachian Trail. She told us about how she started and had been making progress slower than expected as a result of many setbacks. She had decided to do a flip-flop thru-hike rather than a NoBo (northbound). 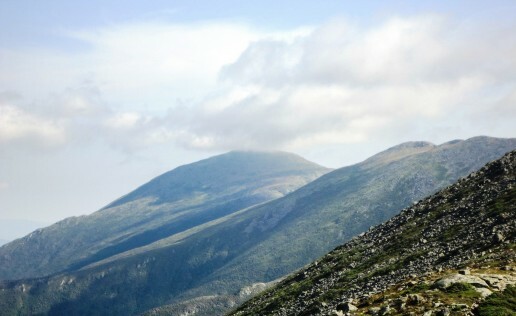 At Glasgow, VA, about 780 miles from where she started at Springer Mountain, Georgia, worried that she wouldn’t be able to get to Mount Katahdin before the park closes and winter set in, she decided to head directly to Katahdin and then hike roughly 1,400 miles south to where she left off. After talking with her some more, we all went to sleep as “hiker midnight” (most would just call it nightfall) was soon approaching. Morning came, and we went our separate ways and toward our separate destinations. 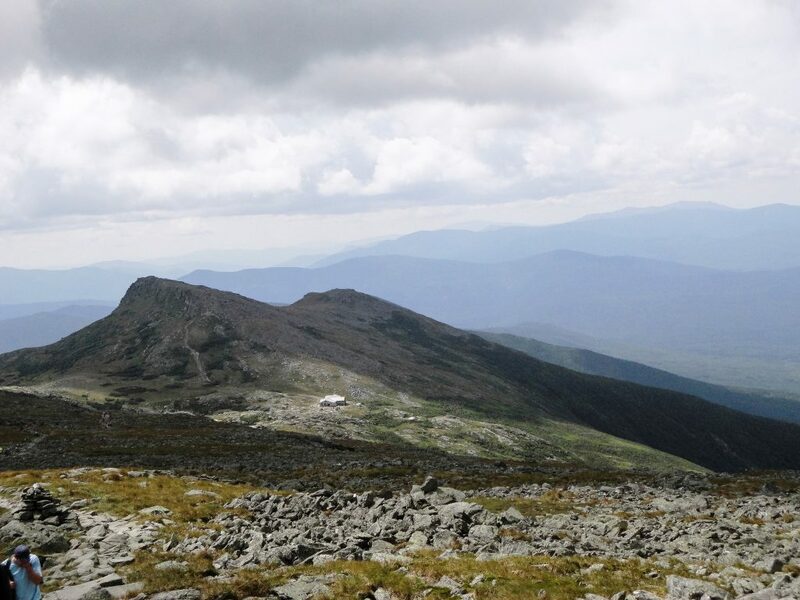 Nine days later, while I was standing on the top of Mount Katahdin with a sense of disbelief that I had finally made it, the Bionic Woman still had a long way to go. I followed her on social media until she triumphantly made it to Glasgow on December 27th, 159 days after we met. 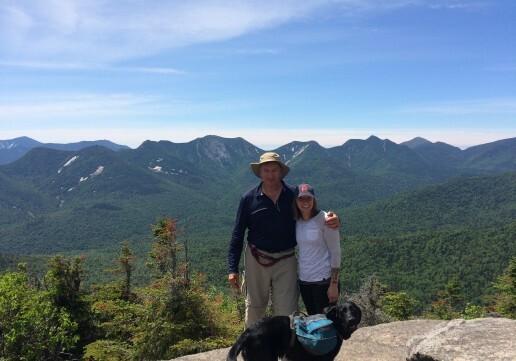 Last year, I started my journey toward becoming an Adirondack 46er, with the goal of hiking all 46 high peaks in the Adirondack Park. Every weekend, I drove up north to my parents’ home with a new adventure waiting. During that effort, my father supported me through each peak. 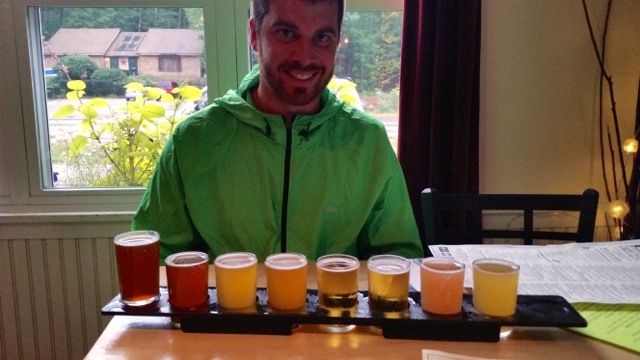 With all that was involved, he was there to drive me when needed, watch my dog when he couldn’t tag along, share a growler of post-hike beer, and make sure my pack was well-supplied with emergency gear. He even double- and triple-checked that I kept it in my pack, despite the annoying extra weight it added. And, as he was there for me every step of the way in accomplishing that goal, little did I know that while I had always looked up to him in life, he was now looking up to me. After I had finished my journey, it was now my dad’s turn. When he expressed interest in starting the high peaks and asked me about where to begin, I couldn’t wait to share everything with him. After completing Cascade and Porter Mountains, we talked about what we could conquer next, together. We decided on Big Slide Mountain for Father’s Day weekend. Hiking that via the Three Brothers Trail is a views for days-type of hike, and I really wanted to wow him. Despite his protesting the early morning alarm, we coffee’d up and hit the trail at 6 a.m. sharp. Once there, we took our time, enjoying the cool morning and quiet trail before the crowds would hit in a few hours. Usually, I am trying to hike fast when I am alone or with friends, but this time was different. It was enjoyable to just take our time and spend it together. Because my dad is not a daily hiker, this mountain was a big task to conquer. However, regardless of his exhaustion at times, he still managed to crack jokes and make every stranger we came in contact with laugh and smile. It wouldn’t be a day spent with my dad if he didn’t push the humor boundary a few times. On this already-beautiful day, we lucked out and were fortunate enough to have the summit to ourselves for a few moments. There, as we enjoyed the breathtaking views over some swigs of Fireball and snacks, we sat relishing in our accomplishment but still wishing there were a McDonald’s at the top. At the end of the day, I saw the same passion and excitement for the high peaks in my dad that I have in myself. A spark was lit, and since, he has conquered more on his own. Now, the two of us have plans to climb many more together this summer, starting with this coming Father’s Day weekend. I can’t wait to join him on his own journey of becoming a 46er, and to continue our new Father’s Day tradition of hiking together in the best place in the world. 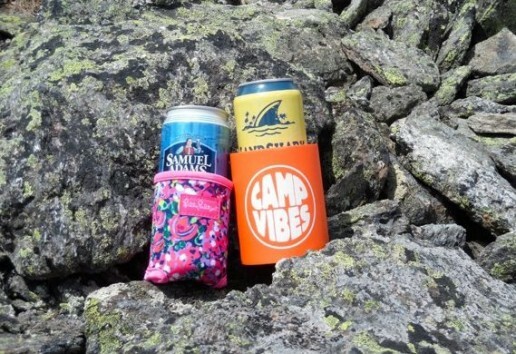 As Father’s Day approaches, warm weather and groups of hikers return to New Hampshire’s mountains. 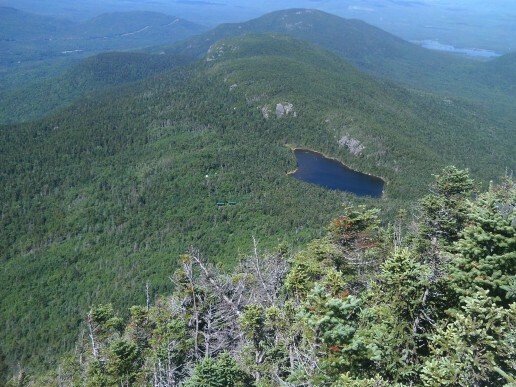 If you know where to look, Western New Hampshire has a variety of short, kid-friendly hikes that provide the perfect combination of solitude and wonderful views. 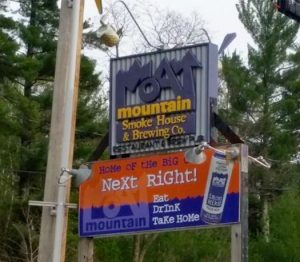 Meeting this description, here are three going through New Hampshire’s most underrated mountains – just remember to bring your bug spray! This trail leaves Cardigan Mountain Road in Orange, New Hampshire, and climbs a moderate grade for a little under a mile and a half through a mix of conifers and hardwoods. 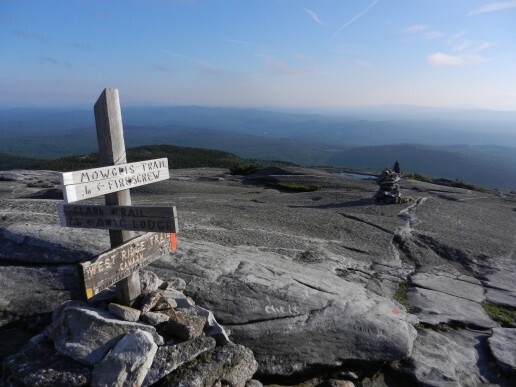 After crossing a footbridge, the West Ridge Trail opens up to the south and west, offering grand views of Vermont and Southern New Hampshire. 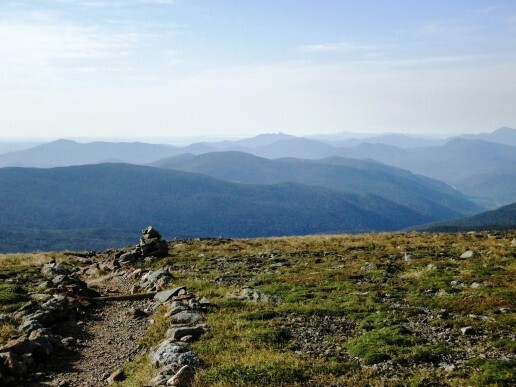 Once you reach the summit, a completely panoramic scene offers a stunning glimpse of the White Mountains. Leaving Mountain Road, off NH Route 103 in Newbury, New Hampshire, the trail begins with a cool and quiet climb to Mount Sunapee’s secluded Lake Solitude, following and crossing Andrew Brook in the process. 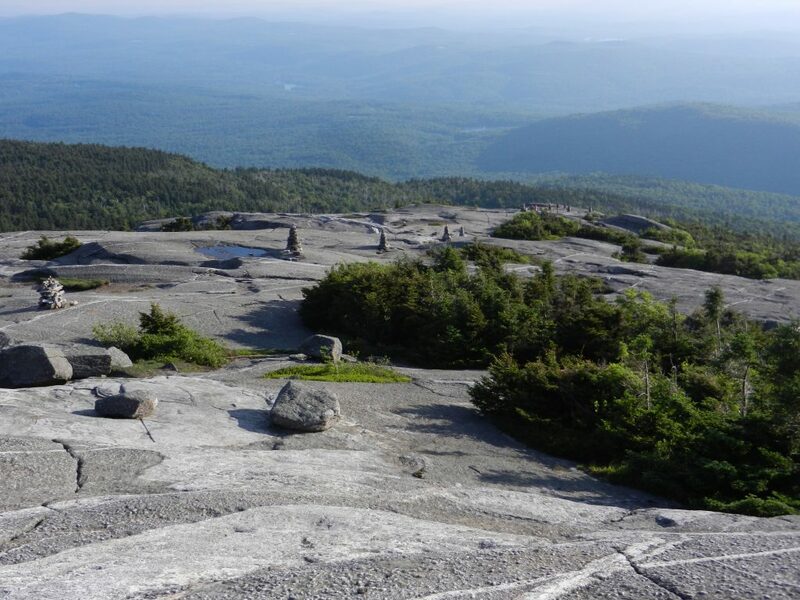 The trail tops off at the White Ledges, with clear views south to Lake Solitude, Lovewell Mountain, and Sunapee Ridge. 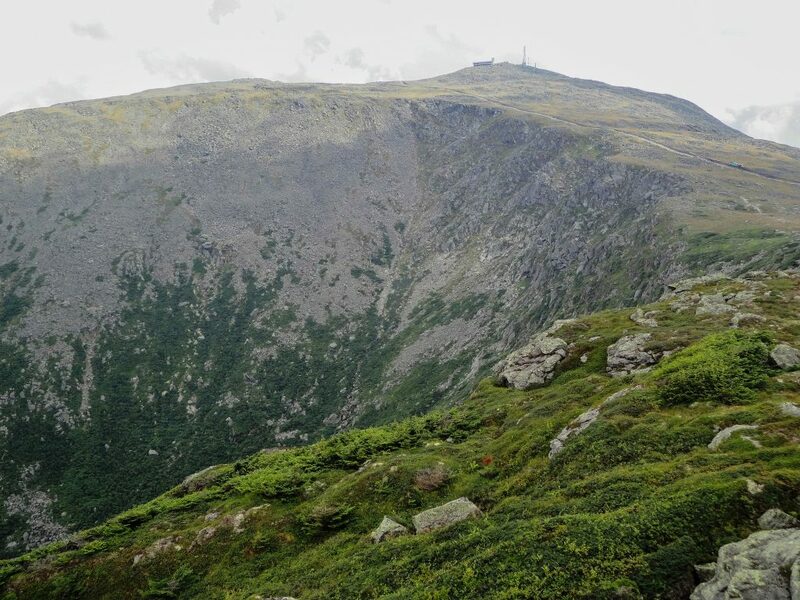 Bald Peak may be reached from NH Route 116, using the Mount Kinsman and the Bald Peak Spur Trails. 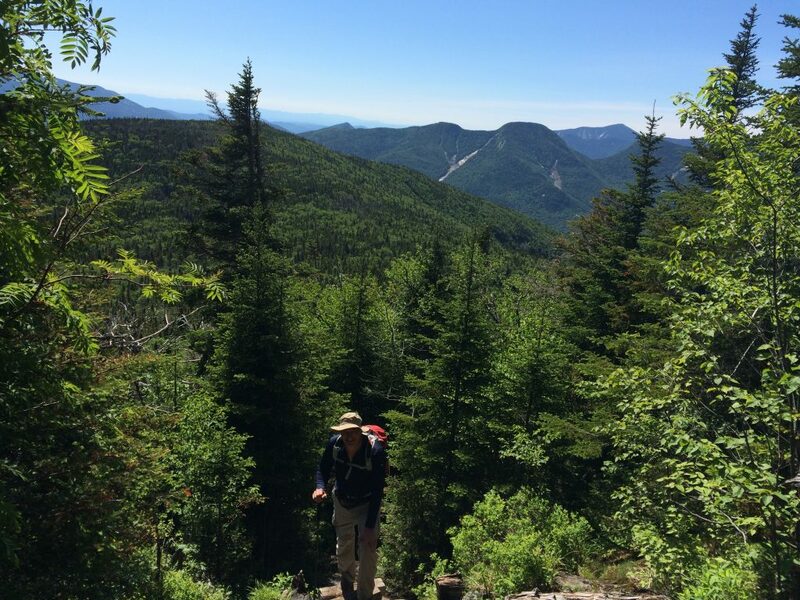 This route travels below a cool canopy of hardwoods and small cascades, while the moderate elevation gives you access to magnificent views of Moosilauke, the Green Mountains, and Kinsman Ridge. For half the year, Cadillac Mountain’s peak is the first place in the easternmost state where the sun appears. This fact brings many people to the top with hopes of catching those rays. For this view, one could take the easy approach: Driving to the top, and waiting inside the car to watch the sunrise. But, what kind of outdoors person would take that route? One of the experience’s best parts is the journey it took to see that sight. Preparation is very important, as it takes a little planning to arrive at the top before the sun comes up. First, consider your stamina, so make sure you eat something healthy the night before. Speaking from experience, four or five hotdogs around a fire would be a bad call. Second, factor in the temperature. It might be August, but in Maine, early morning conditions warrant your wool and down. Third, calculate your departure time. To do this, know when the sun rises that day, and work backwards from there. For example, on August 13, 2016, the sun will rise at 5:34 a.m.
One of the experience’s best parts is the journey it took to see that sight. As for the actual hiking part, know which trail you’ll take. My personal favorite is the South Ridge Trail. If you’re new to the peak, realize you can pick it up from the Blackwoods Campground, but because of the distance, plan to add an extra mile to your trip. Not camping? That’s fairly simple: Just drive and park right off Route 3. 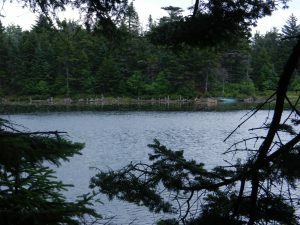 If you’re coming from Bar Harbor, the trailhead is directly past the entrance to Blackwoods Campground. In total, the path to the summit is 7.1 miles round trip, not including that extra mile from the campground. Drivers should expect a 3.5- to 4.0-mile trip to the summit, while hikers, depending on speed, should plan for two to four hours. During my journey, I gave myself three hours, which allowed ample time for snacks, breaks, and finding the perfect place to watch the sunrise. This would make 2:30 a.m. my departure time. However, if you’re someone who enjoys breakfast, like myself, I would recommend giving yourself an extra half hour or so. Also, so you can get off to a smooth start, without having to search around for essentials, pack up all your gear the night before. This way, by 2:00 a.m., your bag is all ready to go. As another point, when you’re putting your gear together, don’t forget the headlamp. Most of your hike will be through darker conditions, so visibility is paramount. Additionally, if you haven’t changed your batteries in a while, an extra set might not be a bad idea. Once you’re on the South Ridge Trail, the first mile takes you through a wooded section with a gradual climb. Not long after, you’ll emerge from the tree line. Here, take a second to turn off your headlamp and look up at the sky. With almost no light pollution, Acadia is one of the United States’ best stargazing parks, and what you’ll see at that time of the morning will leave you speechless. From here, the trail continues to the summit, with most of the hike concentrated on the mountain’s spine and going over large glacial rocks. Most of the blazes on the rocks or cairns will be used, so keep your eye out for them. Then, the last three-quarter mile or so dips back into a tree cover that really tests your attention in the dark. As you walk toward the summit, you may find you’re the first to arrive, so you get to pick the ultimate viewing spot. More cars will arrive as time passes, and in watching the scene, you will immediately feel a sense of accomplishment for getting there first. Of course, you’ll also feel cold and desire the warmth of the sleeping bag you left below, but the chill becomes secondary once you watch those first rays emerge, as the view will likely be one of the most stunning things you have ever witnessed. So, take your time to enjoy the sunrise, and after the hike down, reward yourself with a delicious breakfast in Bar Harbor, because you deserve it! What do you do when your little one is too big for the kid carrier but too small to keep up with you on a full day hike? I have no idea, so I asked an expert. Jen Bauer is a Digital Media and English teacher from the Boston area who blogs about her adventures with her wife Kendra and their three kids “Addison, Evan and Kate at AdventurousMoms.com. 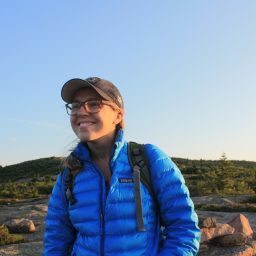 In addition to her own regularly updated blog, Jen contributes to National Park Foundation, Travel Mams and FamiliesGo! to name a few so I figured if anyone is qualified to talk about kid hikes in Massachusetts, it’s her. Here are the five hikes Jen likes best along with a few thoughts on why they’re great for adventurers in training. All of the gorgeous photos below were taken by Jen and the comments about why these destinations make great kid hikes are hers. If you’d like to see more of them and get regular updates on her adventures with her family, be sure to like Adventurous Moms on Facebook. The tall pines provide an unbelievable canopy and the wide, even trails are perfect for toddler legs. Footbridges and frogs: what more could a toddler want? The Pitcher Brook trail leads to Big and Little Pitcher Falls. Little kids love waterfalls, and these are a great payoff for a fairly easy hike. The Rockery Trail runs over wooden footbridges, and through rock archways, a fun treat for kids. There is a ton of wildlife here: geese, frogs, turtles, herons, ducks, snakes, and more! Lots of great trails for little legs, and wonderful views of Boston. Whether you have a suggestion for kid hikes in Massachusetts or anyplace else, please leave a comment and let me know about it! I’d love to make this a regular feature here on the blog to give parent-approved hiking ideas to other parents. Life is hectic when you have little kids and pulling the tribe together for an outing can be a challenge. Hopefully suggestions from other parents will take some of the planning and pre-trip anxiety out of the day so you can focus on introducing your little ones to the outdoors.